Every bowler needs some tenacity! 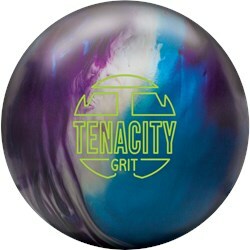 That is why Brunswick has released the Tenacity Grit high performance bowling ball. 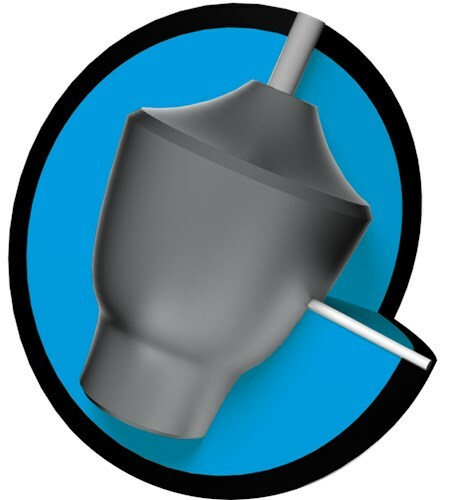 This ball was designed to hook big and be versatile so differnt style bowlers can use it on a variety of lane conditions. The URG (Ultra Responsive Grit) coverstock and the Tenacity Low RG asymmetric core create this strong mid-lane and powerful backend motion as well as pin-carry when used on medium oil conditions. Similar Balls: Same Hook Potential, Lane Conditions & Coverstock as the Brunswick Tenacity Grit. Definition of a benchmark ball! I have a full aresnal of balls and this one is ALWAYS the first ball out of my bag. The definition of a benchmark ball. It is strong and continuous, but doesn't read the lane to early, nor to late. Shot 773 out of the box with it and 279 the next day game 1 on a 2-1 sport shot tournament where the scores were super low.. the ball works on any pattern and I promise you will not be disappointed! See your local pro shop and pick this piece up today! True "Grit"... I can dig it! I will say that I have not had the opportunity to play with this ball as much as I would have wanted to, but for the amount of time I have had the chance to test this against the original Tenacity, and even matched with my DV8 Hitman and Hitman Enforcer, I can tell you that the Tenacity Grit is one of a kind... backend reaction -- CLEAN... pin carry -- CRISP... hitting power -- DYNAMICORE! The colors on this ball are very appealing and downlane you can see the motor (the core) working as it drives through the pocket. This version is earlier than the original Tenacity release, but you will get the "shakes" when you throw this ball in league play because the performance of this release will have you talking about it being a favorite in your bag... along with the original, it is going to be a favorite of mine! By John N. from Washington, D.C. I'm a huge fan of the original Tenacity and so I was super excited to get chance to throw the Tenacity Grit. I have found great success with this ball on heavier volume patterns and longer patterns. This ball is really clean through the front and continuous on the backend. This ball comes with a 500 - 1000 - 3000 finish. I haven't done any surface adjustments to this ball yet but I've been so pleased with the initial reaction, I haven't wanted to change it. The Tenacity Grit fits into the Pro/All Purpose category meaning that the ball utilizes Brunswick's most advanced technology and is a versatile ball across a variety of lane conditions with a continuous strong arcing motion. The new Tenacity Grit is a great follow up to the original Tenacity. With the OOB surface, it allows you to play in the oil with a quick response to friction. I see this ball as a couple feet earlier than the original and a little smoother on the back end while still retaining the hitting power with assistance of the DynamiCore. Great ball for the fresh or when you want to move in and open up the lanes. The Tenacity Grit will be more aggressive for it is a High Performance ball. Due to the time it takes to produce the Brunswick Tenacity Grit ball it will ship in immediately. We cannot ship this ball outside the United States.